I recently did some public website reviews to help folks out with professional feedback on their site, and to get some business intelligence. 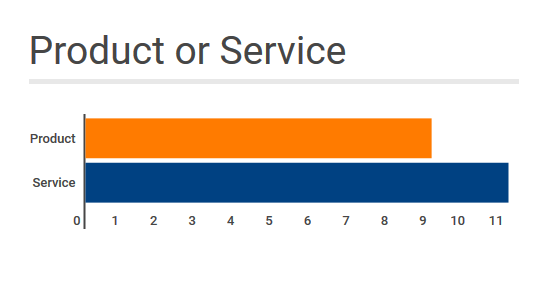 You can find out more on why I did the reviews below, as well as a breakdown of the sites by business type (product/service), target market (B2C vs B2B), and technology (CMS platform) – that’s at the bottom of the post. No. 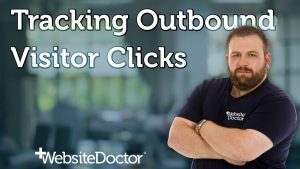 1: Does The Site Have a Compelling Email Opt-in? “Sign up for our newsletter” is code for “We know you get loads of email, but if you subscribe here we’ll fill your inbox with even more email you don’t want to read”. You could test using a discount coupon – but save your profit margin, you can do better than that! Offer the visitor something that solves a problem they have, ideally directly related to your business. “Free Guide to XYZ”: guides, checklists and cheat-sheets are great. They must actually provide genuine value, but they don’t have to be very long – in fact it’s better if they’re quick to consume. No. 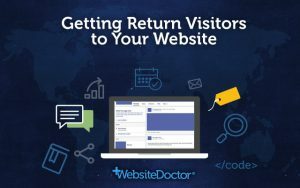 2: Does The Site Have a Clear, Obvious Purpose and Visitor Benefits? The first thing visitors look for is something to let them know they’re in the right place. Usually this a clear statement of purpose, or visitor benefits. 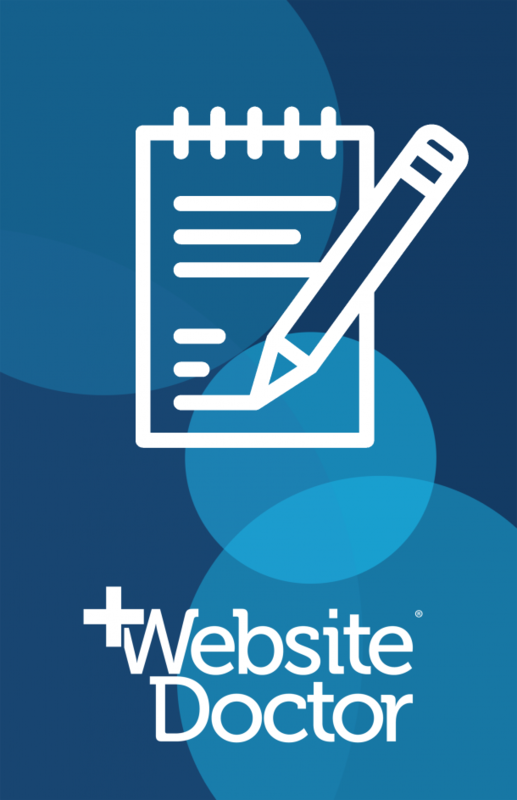 Of the review group, 30% made the website purpose very obvious and clear via a tagline or headline what the site was about. 25% less so, and a whole 45% of the sites didn’t make it clear at all. Have a tagline or headline front and center so that visitors know what they’re looking at. Read “Don’t Make Me Think” by Steve Krug to get a better understanding of what website visitors are looking for. No. 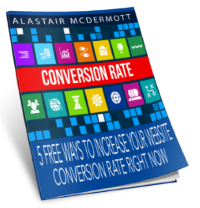 3: Does The Site Have a Strong, Clear Call-to-Action? After a clear purpose, the next thing to look for is the Call-to-Action. What action should I take? 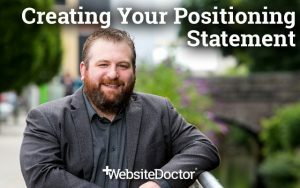 What does the site owner want people to do? Around 1/3rd of the sites did this well, with a strong, clear call to action (CTA), e.g. Book Now, Add to Cart, Contact Us, that stood out from the page content and told me what to do next. 25% had a weak call to action and 40% had none at all. Recommendation: ensure every page on your site has at least one clear, strong call to action that stands out visually from the rest of the page content. No. 4: Does The Site Have a Quality “About” Page? The About Page is the 2nd most visited page on a website – after the homepage – and crucial in building trust with a potential customer. Only 10% of the sites reviewed had a good About page that included photos of the business owners/staff, names and a bit of background. The rest had far less, usually just a block of generic text that could be copied and pasted onto a competitor’s site. You’re asking people to trust you with their hard earned cash, so you have to include more information than that. No. 5: Does The Site Load Quickly? The slowest sites were WordPress based, probably due to lack of caching, the fastest were Shopify and one of the custom builds. If you use WordPress, enable caching. Move to a better hosting company. No. 6: Does The Site Have Good Design Aesthetic? It’s somewhat subjective, but most visitors recognise a professional design when they see it, even if they can’t articulate the details. And it’s a big factor in generating online sales. Visitors will spend money on a site they trust, and design aesthetic is crucial in building that trust. There was a mixed-bag in the review group when it came to design aesthetic: almost a 3-way tie between good, average and poor designs. If you can, get a professional designer to tweak your site design. Reduce the number of fonts, colours and textures. No. 7: Does The Site Have a Responsive Design? 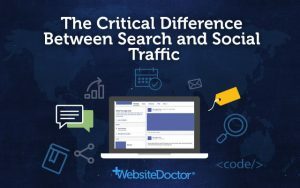 In this study, thankfully the vast majority of sites were responsive. If you’re one of the few who doesn’t have a responsive website, you need to get to work on updating your website, or say goodbye to 50%+ of your traffic. Recommendation: If your site is not responsive, it’s past time for an upgrade. Start looking for a responsive theme or talk to a web design company. It’s not a huge video course with 25 hours of streaming video, or an attempt at rewriting War and Peace. It’s a short, 10-page PDF that is absolutely crammed full of valuable advice that you can use to get your sales numbers moving up right away. One of the reasons I did this is because I wanted to get survey completions from business owners with active websites. It’s quite hard to get genuine survey completions, particularly on a budget, so I hoped that using reciprocation – Dr. Robert Cialdini’s first principle of influence – would cause them to fill in the survey. This was successful: all, bar one, of the business owners who got a website review subsequently filled in the survey. This also became a very useful exercise in content creation – I got some really useful information for training materials I wanted to create. I posted a thread on the reddit /r/smallbusiness forum. 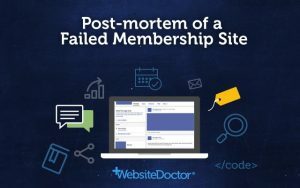 I was offering a free, professional website review on thread covering site design, load speed, SEO, conversion optimization, anything I saw as potentially killing sales, and offering recommendations for how to fix the issues. 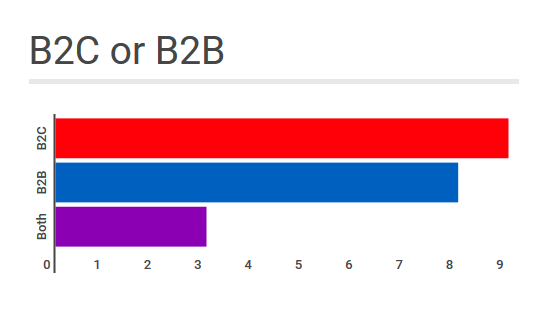 Customer type: also equally split between business-to-consumer (B2B) and business-to-business (B2C). 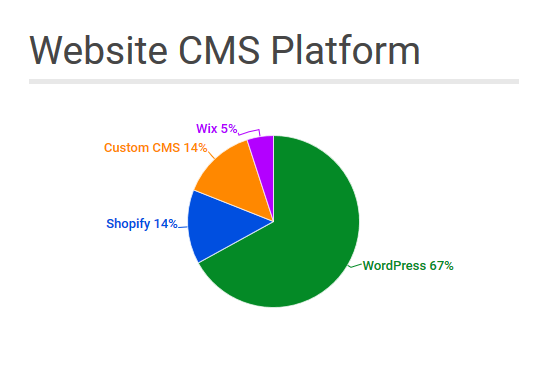 The website platform or content management system (CMS) breakdown was 67% on self-hosted WordPress (.org), 14% Shopify, 14% custom CMS, and 5% Wix. 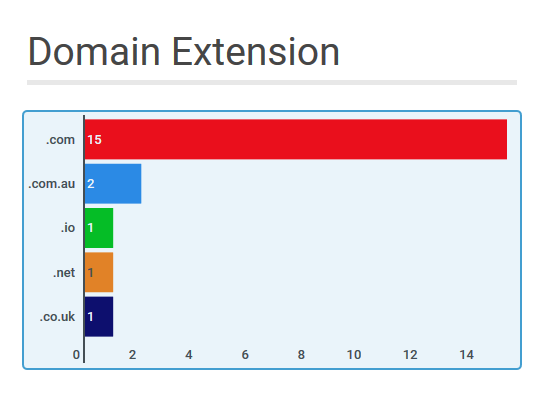 Domain TLD: 75% were on .com domains, the rest were .com.au, .co.uk and .io. In total, twenty-two websites were put forward for review during the 2 days the offer was open. Twenty included an answer to the question I’d asked. So this is not a massive study, and it certainly won’t meet academic statistical rigour, but you should find the results interesting and helpful if you’re a website owner. 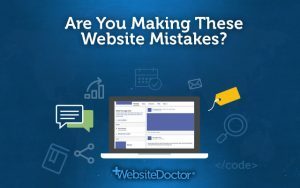 What mistakes are you making on your website? What’s your plan to fix them? Leave a comment below.